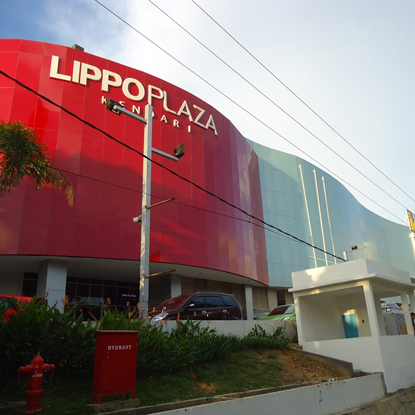 Lippo Plaza Kendari is a four-storey family mall with a car park area and it provides a range of products and services for all family needs in one location. It is strategically located in the heart of Kendari, the capital of Southeast Sulawesi. Economic development is growing at a rapid pace in Kendari, where agriculture is the dominant economic activity. The government of Sulawesi has rolled out a series of major infrastructure projects to improve connectivity and spur economic development in Southeast Sulawesi, including a railway network which will connect all major cities in Sulawesi. 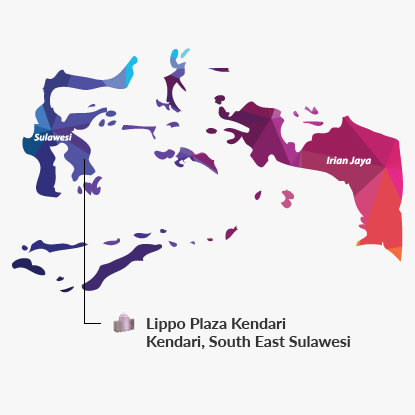 The mall's tenants include a variety of well-known retailers such as Matahari Department Store, Hypermart, Pizza Hut, Solaria, Cinemaxx and Timezone.